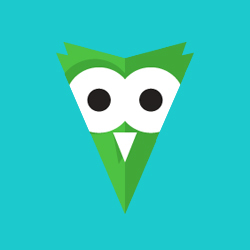 We added completely new Owl Carousel v2.2.1. The new version comes with lots of new features and even more user friendly API. This is great for when you want to open a specific tab by the URL. This feature can be turned off or on for each tab separately. 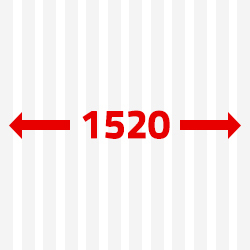 We added new size of maximum width - 1520px (95rem). Thanks to this setting your content will have more space. 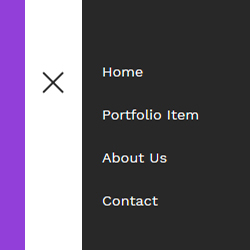 This setting is ideal for websites with two sidebar panels, blogs on online shops. The breadcrumb allows users easy to keep track of their locations within websites. And now, you can find it in Responsee framework. 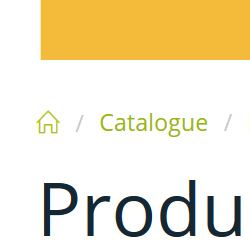 We added two new sizes xl and xxl for better works with a layout for different types of a devices and a screens. Now Responsee contains sizes s, m, l, xl and xxl. 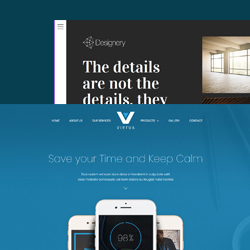 Completely new 2 templates named Virtua and Designery comes together with new edition of Responsee. You can look forward to excellent design and as usually completely free! We also upgraded all the other templates for Responsee 5. We added new great feature! Thanks to the sliding navigation panel, you can place the web site menu outside of the browser screen. This solution is fancy and very effective. Responsee uses for work with content several classes with specific properties. Application of classes is very intuitive, and thanks to them the website is fully responsive. The classes are chronologically arranged according to significance and location in structure in the table listed under. More about structure you will find in Grid System section. 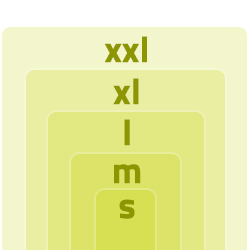 s-five, m-five, l-five, xl-five, xxl-five Those classes have exactly the same functions as “s-…”, “m-…” and “l-…” classes however, thanks to their application you will manage to display content on website in five equally wide columns. active-item In case the navigation item is active (particular sub-website with identical url address as reference in menu is displayed), “active-item” class is automatically added to active “li” tag. right moves element to the right side from position, which has in html structure. It is applicable e.g. for displacement of sidebar, which you want to display above the main content on small-size screen, however on large-size screen you want to display it on left side. 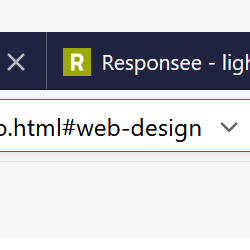 In such case you can use “right” class for designation of the main content, which is to be displaced to the right of the sidebar, although it is located above the sidebar in html structure (and on small-size screen). chevron should menu item has other submenus, it can be marked either with preset figure expression of number of items in submenu, or it can be marked with arrow by simple adding-in “chevron” class to “ul” element. center aligns element, which has less than 12 columns, to the center. margin-bottom2x Name of the class fully depicts property of the class :) The class adds margin-bottom 2.5rem property to element. breadcrumb-nav The class turns on the breadcrumb function (add this class to a nav element). which you can find on home websites of the projects.